The GoTough Thumbscrew by Fotodiox is an essential addition to your GoPro gear. Precision engineered in high-impact aluminum for high strength and professional good looks. 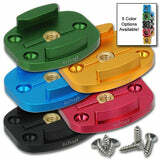 GoTough Thumbscrews are much more durable than equivalent plastic accessories while still remaining lightweight. 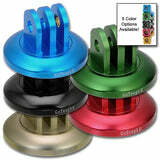 The GoTough Thumbscrew is available in a wide assortment of colors to match your team, your gear, or to make your GoPro rig stand out from all the rest! 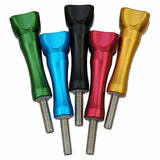 For help tightening or loosening any GoPro Thumbscrew, make sure to check out out all-metal GoTough Sharkbite Wrench. 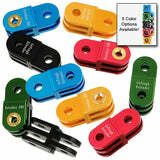 It comes in the same durable and stylish color finishes, and features an integrated bottle opener!